The unprecedented polling results from this year’s GE14 have seen a shift among the Rakyat’s patriotism. 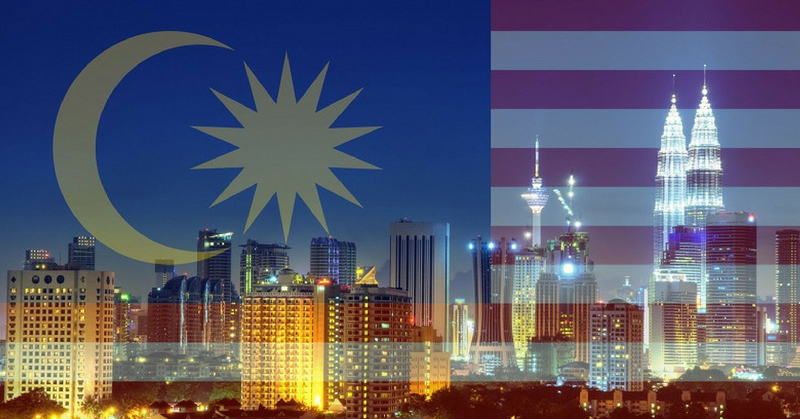 While it’s easy for us to be ignorant and let our 93 years old prime minister, Tun Dr. Mahathir and the new ruling government to bear the brunt from previous leaders, we Malaysians plays a pivotal part in shaping our society. For starters, we don’t expect drastic changes to take place overnight. Always start with something small. A gesture, a good thought. Just like the Malay ideogram “Sedikit-sedikit lama-lama jadi bukit“, a simplest action which accumulates over time will be able to create a great ripple effect. Like I mentioned earlier, you can start from something small towards the community around you. Something that you can practice in the neighborhood you live in. I’m sure that each of us yearn to have friendly and helpful neighbors so how about us initiating to be a good neighbor first? Be good to them if you want them to be good to you. It can be as simple as greeting them or even a smile whenever you bump into them. Once in awhile, invite them over for dinner. Lend them a helping hand if help is needed. There are so many organizations in Malaysia that need volunteers from time to time. During your free time, make use of the time to do something good, like volunteering in a local NGO. You can choose to volunteer for an organization like SPCA, PAWS, and WWF. If you are not an animal person, you can volunteer by teaching children in rural areas, help single mothers and maybe an organization like National Cancer Society Malaysia. Every year, NCSM will host an event called Relay for life. The purpose of the event for people to know about the cancer patients, how they feel and how they go through the sickness. It’s a 2 days 1-night event where people normally don’t sleep. This is to experience how cancer patients struggle at night and not sleep. So, instead of sleeping everyone who attends the event is encouraged to walk around the field. Annually, they need volunteers to make the event a successful one so that Malaysia can know more about cancer. It is sad to say that bribery is not something new in Malaysia. Bribery has been in our country for a really long time. This is one of the issues that caused our country’s corruption. Everything involves bribery. To stop this from happening, we as a Malaysians should practice not to bribe if we do anything wrong. For example, never bribe the policeman when they stopped your car after you break the rules. While it’s tempting to take the easy way out, there are reasons why laws are there for us to follow in the first place. Just think about it, if you stop bribing, people around you will slowly stop doing it too. As the time goes by, Malaysians will be fine with the changes. Then, there will be no bribery in Malaysia anymore! A first class nation requires citizens with first class mentality. If you want our country to be litter-free, start by throwing your rubbish at its designated location AKA rubbish bins. Not only littering cause pollution, it harms our fauna, too! Rapid deforestation has forced our wildlife out of its natural habitat, so they tend to search for food that’s harmful. The things that we throw in the sea, they won’t disappear. Instead, sea creatures like sea turtles will eat plastics and die of unnatural causes. It also won’t hurt for you to pick up the litters around you if you see them right? Malaysians should start taking care of nature if you want Malaysia to be clean. Always practice safe driving. Road casualties happen on the road daily and sad to say that Malaysia holds one of the highest death records on the road in SEA. Since each and every one of us uses the road on a daily basis, don’t you think that this is rather mind boggling because our lives are at stake due to reckless driving? Remember to drive safely and be responsible while you are on the road. Do not text and drive as it is very dangerous. If you need to refer to the GPS or Waze, buy a headset and phone stand. While driving, you must give your 100% focus on the road. Most importantly, use the indicator before switching lanes. Adhere to speed limits and most importantly, drink responsibility. We are the change that we want to see. So, let’s start by practicing these 5 habits in order to make Malaysia a place we’re all proud to call home.